We have been waiting all summer to try out a new sculpture project where campers make plaster cow skulls, and wow! They did an amazing job. Totally worth the wait. During afternoon options campers also spent their time making friendship bracelets and lanyards, hiking to Eagle's Crest, swinging from the giant swing, rock climbing, and zipping away on the zip line. We wrapped up yesterday with seminars after dinner and one of our best campfires yet! There is something about high school students gathering together around a campfire that is... electric. 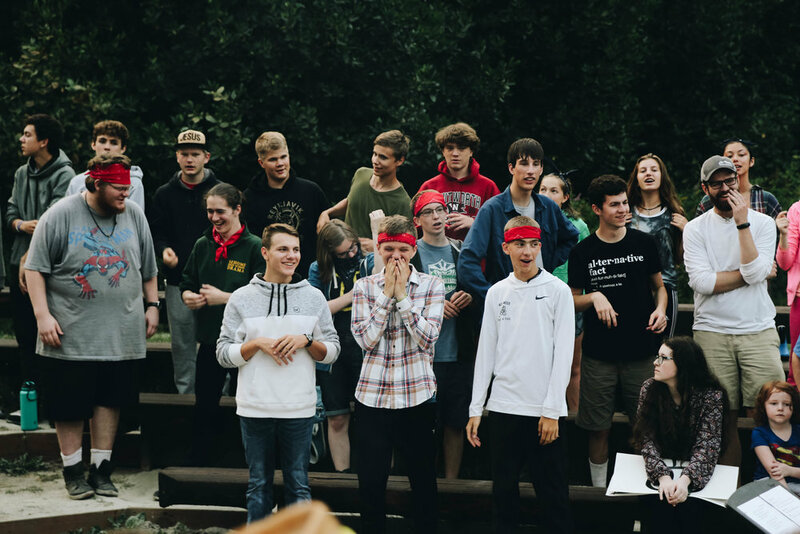 The energy and joy these campers bring to Tall Timber is unmatched. The senior Whidbey Island boys were a highlight of the day as they crushed the dish room after dinner while singing at the top of their lungs to Billy Joel (video to follow soon). Today is M U D P I T day! Our facilities crew have been busy prepping the pit and chasing away any tempted wildlife. We have a brand new rope for tug of war and could not be more excited for this afternoon.